Nero Burning ROM is an industry leading CD, DVD, and Blu-Ray burning software, featuring a first class CD, DVD, and Blu-ray Disc burning and copying technology and SecurDisc technology to ensure burned content remains readable, regardless of scratches, age or deterioration. It also includes best-in-class encryption, password protection, and digital signatures. 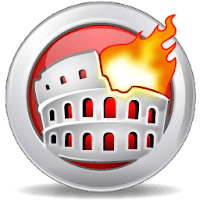 Disclaimer: Direct downloads for the lastest version of Nero Burning ROM 2019 20.0.1011 are provided by the official software's author, we can't guarantee safety, availability or download speed. Moreover, we don't and we won't provide any pirated/illegal versions or tools. We recommend you to avoid it as these methods can harm your device. If you like the software, buy it to support the developers. (We provide software discounts for many worldwide brands).